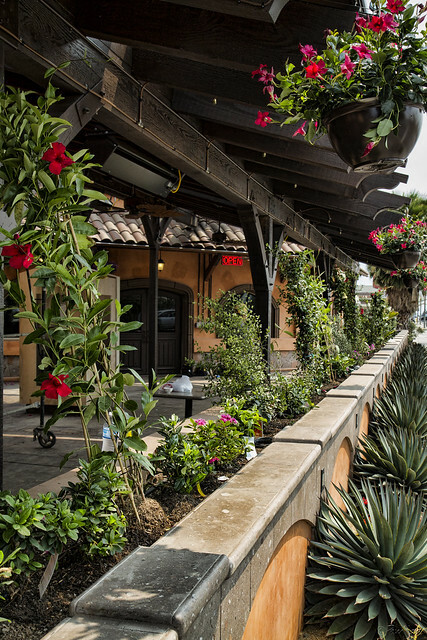 Several years ago, several of us tried out La Barca Grill and Cantina's new outside patio for dinner (see Outdoor dining). Dinner was good, but the ambience of the outdoor patio, right next to busy Paramount Blvd., wasn't very appealing. But that's all changed now, with the addition of a covering and some really cool landscaping. Even unfinished, I wanted to go sit in this area just to enjoy my surroundings. I can hardly wait to try it again!